So recently I held a towel intervention in my home. You know how your kids grab your towels, they end up in the kitchen, in the other bathrooms hamper, out in the laundry room and then pretty soon you have about 4 towels that you are constantly washing and using over and over again? That was happening here, and I had to put a stop to it. I gathered them from just about every room and some of them smelled foul, I did not think they were going to be able to be saved. 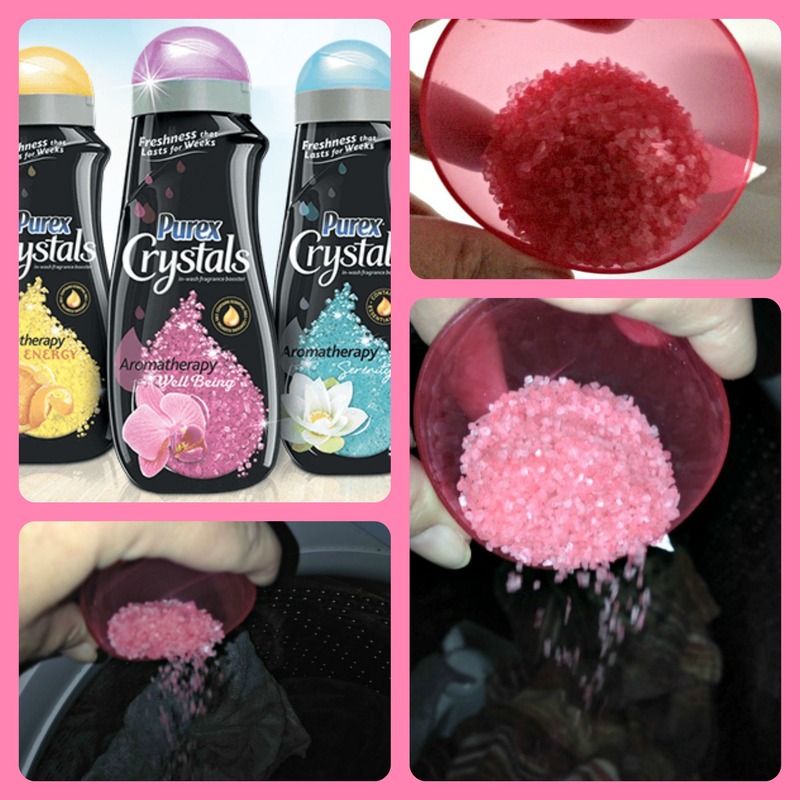 Then I remembered my Purex Crystals, so I washed them, added the new crystals, now they smell fabulous and are ready for our use. I was glad I had a product to eliminate laundry odors here. I used the new Purex Crystals Aromatherapy Well Being scent on all of those towels, some of them smelled pretty bad and just a regular wash with a capful of the Purex Crystals everything smelled fabulous, so when you get up in the morning and take a shower those towels smell like you are waking up to a beautiful sunshine day. 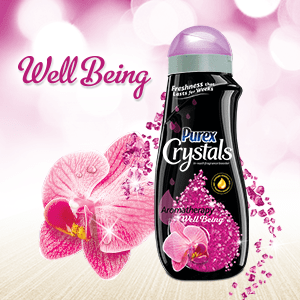 Purex Crystals make three new scents in the Aromatherapy line. I washed my towels in Well Being and I washed my sheets in the Serenity Scent laundry enhancer, and the sheets now are so relaxing and refreshing to get into at night. I have always believed in the power of scents and aromas and I often use them to lighten my mood and home, so using them as an in-wash scent booster made sense. Scents can be pretty powerful, if you remember the smell of your grandma baking her famous cookies you know how easily it is to be taken back to a comforting place just by the smell of something. The Energy scent uses citrus notes to help you feel up and ready for the day and would be perfect to use on your work clothes or uniforms you wear. I have all three scents in my home and use them on different things depending on the mood and feel I want associated with certain things. I love the Purex Crystals, I loved the original scents and I love these aromatherapy scents even more. Purex is sponsoring a giveaway for three full size bottles of their aromatherapy, so that you can try for yourself and see how awesome they smell and make you feel. It is always nice to have a fresh laundry scent! You can win by entering below. Good Luck!